We've got a new Mixer happening at our Training Center each week. 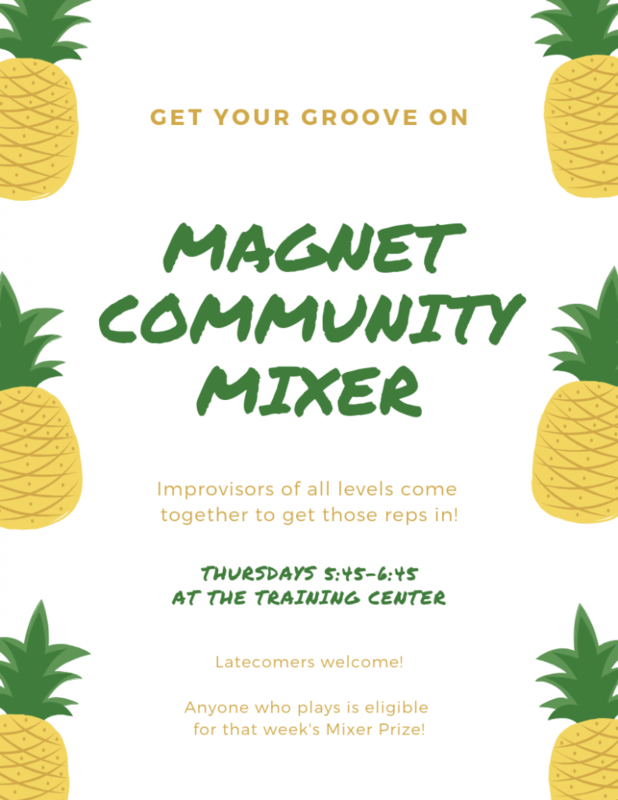 Every Thursday, from 5:45 to 6:45 p.m., you can drop by Room A at the Training Center and improvise scenes with fellow members of the Magnet Community. What makes this Mixer different than the Wednesday night one? It's held at our Training Center, the heart of our student body, and it wraps up right before glasses begin. It's the perfect time to get in a few reps right before class or before heading over to the theater to see shows. 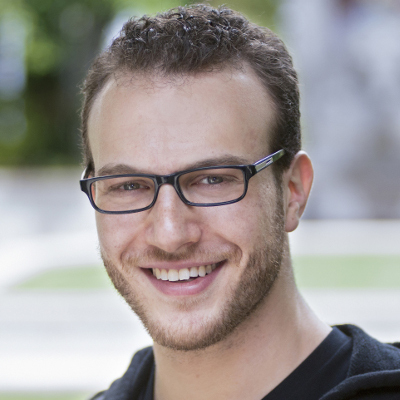 It's also hosted by Aaron Gold (You Are Not Alone), who is a master of mixers and gives away a fun mixer prize each week. If you're running a little late, that's totally okay. Latecomers are welcome! Just enter Room A quietly and let Aaron know you'd like to play. Whether you're a student, a performer, an instructor, or an alumni of our halls, you're welcome to drop by and mix it up, so PLEASE DO!